Blood Sugar, Online: Brian Herrick tracks the ups and downs of glucose in his bloodstream with a Dexcom system—a skin-hugging sensor that communicates via Bluetooth with a handheld monitor. The first great wonder drug was insulin, the blood-sugar-regulating hormone that was isolated in Canada nearly a century ago. 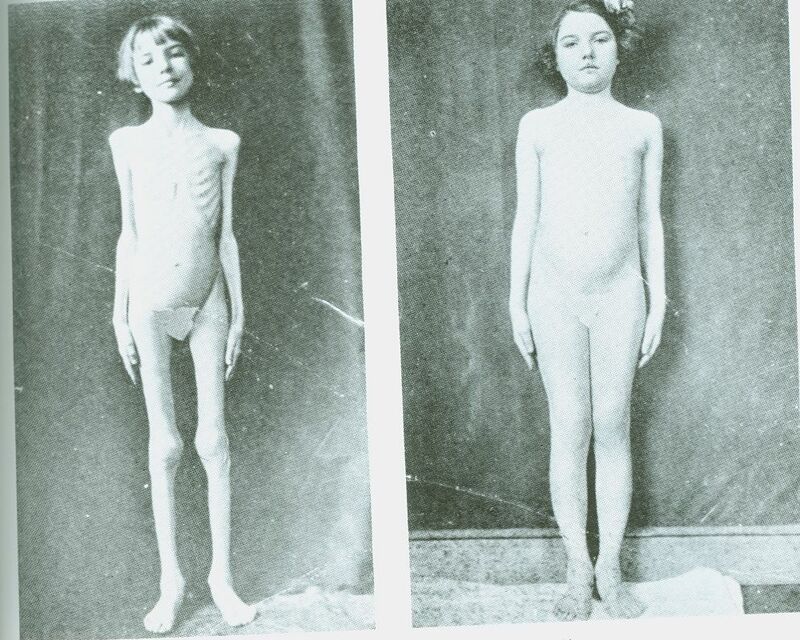 The before-and-after pictures still astound: a skeletal wraith on the left, a rosy-cheeked child on the right. But the promise of insulin has yet to be fulfilled. Normally, the pancreas, an organ near the liver, secretes insulin to control the concentration of glucose in the blood. In patients with type 1 diabetes—once known as juvenile diabetes because it’s usually diagnosed in children—the pancreas makes no insulin of its own, so those with the disease must work hard to mimic that organ’s function. If blood sugar goes too low, the patient faints; if it goes too high, it poses long-term risks to the eyes, nerves, and arteries. So several times a day the patient must prick a finger to test blood sugar, make a calculation based on planned meals and exercise, and adjust the injection of insulin to account for it all. The burden of self-management goes on night and day. Now, after half a century of work, a solution at last is in the offing: the artificial pancreas. It links data from an implanted blood-sugar sensor to a computer, which then controls how a pump worn on the hip dribbles insulin under the skin through a pipette. In its fully realized form, the machine would take the patient out of the decision-making loop, which is why it is often called a closed-loop system. “It is a classic problem in control technology, which is the methodology used in process control,” says Ahmad Haidar, an electrical engineer working on the problem at the Institut de Recherches Cliniques de Montréal (IRCM). Such technology is used, for instance, to guide a spacecraft or to govern the processing of crude oil in a refinery. Haidar’s group is one of a number of academic and corporate teams vying to create a closed-loop system for an artificial pancreas. “Each patient is represented by a set of differential equations,” Haidar says, “parameterized based on physical information—body weight and total daily insulin dose, for instance.” Then the algorithm figures out how to administer that dose from one minute to the next to keep the glucose levels within safe bounds. Partial versions of the closed loop are being rolled out now, and more advanced versions are in clinical trials. The work of Haidar’s group and others is finally promising to complete a vision that began more than a half-century ago and always seemed just around the corner. In 1978, in fact, an engineer at Sandia National Laboratories, in New Mexico, wrote in these pages of an “electronic pancreas” that would come in three to five years’ time. This time, though, is different: Actual products are hitting the market, and closed-loop systems that take over more of the diabetes management are in trials. Finally, everybody in the field agrees that a solution is nigh. A slew of improvements in sensors, actuators, algorithms, and insulin are coming together to create the artificial pancreas. Brian Herrick, diagnosed with type 1 at age 3, got to see the latest results for himself last November, during a trial in New York City of a system devised at the University of Virginia. “The thing that was cool about it was that it works,” says Herrick, 27, who directs strategic communications at the Juvenile Diabetes Research Foundation (JDRF). Together with a colleague, he spent several days and nights in a controlled setting, surrounded by doctors and engineers. “We used a Dexcom continuous glucose sensor, hooked through a cellphone with an algorithm and to a Roche pump, linked to it by a Bluetooth signal,” says Herrick, recalling each detail as if the trial had just happened. “One night my blood sugar was 80 [milligrams of glucose per deciliter of blood], with an arrow pointing downward—it was dropping at 2 milligrams of glucose per deciliter per minute. The system shut off insulin, the blood sugar cruised down to 78, sat there, rose to 110, and then, no more movement. It was level.” Normal fasting blood glucose ranges from 70 to 100 mg/dl. The trial mainly looked at nighttime control, which is critical, because the patient may not wake in time to handle a bout of low blood sugar. “My mother is still fearful of my sleeping at night, even though I’ve got my fiancée sleeping next to me,” says Herrick. For now he is back to his old routine, making all the decisions himself, but with some help from a Dexcom glucose sensor that he applies to his upper arm, under his sleeve; it beams data to the screen of a pager-size reader. He uses the information to help decide what to eat and how much insulin to administer (although technically he is supposed to recheck the numbers with a finger stick before an injection). It’s not completely automated, like the trial system was, but such continuous monitoring is itself a huge advance over 10 years ago, and one that lends itself to remote monitoring through the cloud. Last year, Dexcom got FDA approval for its Dexcom G4 Platinum System with Share, which parents can use to keep tabs on their kids’ blood sugar. “Sure, it gives peace of mind to a mom or dad whose child goes to a first sleepover,” says Jorge A. Valdes, chief technical officer of Dexcom, in San Diego. “But consider: Once the data is in the servers, there’s a lot we can do to affect disease management.” For instance, doctors could mine the data for patterns in which patients suffer from low blood sugar, then adjust diet or insulin dosage accordingly. The development of the technology has proceeded by measured steps, much like the progress toward the driverless car—first antilock brakes, next GPS navigation, then adaptive cruise control and self-parking. Finally, at the end of the rainbow, the Google self-driving car. The first step toward a robotic pancreas came in 1964, when a hospital-based experiment proved, in principle, that it was possible to achieve near-normal blood-sugar control. In the 1970s, Dean Kamen invented the insulin pump, making it possible for patients to administer insulin to themselves in a continuous fashion, rather than through frequent injections. Soon after, a hospital system called Biostator GCIIS was released in Germany; it combined a pump with a large, complex continuous glucose monitor. Soon after a rise in glucose in the bloodstream, a parallel rise in the intercellular fluid of the skin occurs. Sensors inserted into the skin detect that rise and beam the data to a computer, which directs a pump to send pulses of insulin under the skin. From there the insulin moves on to the bloodstream and throughout the body, lowering the glucose to safe levels. In recent years, pumps have become smaller, more reliable, more programmable, and more comfortable, using ever-finer pipettes, which the patient inserts through a slightly larger needle. Continuous glucose monitors were first approved a decade ago, and they are beginning to replace the finger-prick method, now that improved coatings and other engineering details have allowed patients to keep their superthin electrochemical sensors under the skin for seven days. “I’ve had this one in for eight,” says Herrick. The first machine worthy of the name of artificial pancreas was Medtronic’s Minimed 530G, which went on sale in the United States in 2014. It stops the flow of insulin when the patient’s blood glucose falls below a set point. Then, in January, Medtronic began selling the 640T; like the system Herrick tested, this system stops the insulin when its algorithm merely predicts that the patient’s blood sugar will drop. It’s on the market in Australia and is set to sell in Europe later this year. In the United States, the clinical trials are just getting under way. Medtronic’s first clinical tests of what became the 640T began about a decade ago, says Francine R. Kaufmann, the company’s chief medical officer and a practicing endocrinologist. Why the long delay between the proof of concept and routine use? “There’s a big difference when you take someone who goes out and lives daily life, exercises, gets drunk, and other stuff,” Kaufmann says. Much can go wrong. Pumps clog, algorithms misfire, sensors get walled off by scar tissue. Some of the recent technical advances are proprietary and still under wraps, but it’s known that Medtronic and Dexcom have developed biocompatible coatings as well as sensors with multiple electrochemical sites that can be polled to see which ones no longer work properly. One of the biggest challenges is lag. In a feedback-control system with too much lag, your efforts to lower the upswings and raise the downswings can make those variations worse. Glucose sensors typically show you where your blood sugar was 10 minutes ago, but because they also track changes over time, they can give you a pretty good idea of where you stand now. The real problem is the insulin. Today’s bioengineered insulins, called analogues, reach their peak effect in 60 to 90 minutes. Even faster-acting analogues, now in the lab, may shave off another 15 minutes, but even that’s not good enough. Your body responds to a meal as a sprinter does to a starter’s commands. When you just contemplate eating, nerves signal the pancreas to start synthesizing insulin: On your mark. When you swallow, insulin-making cells get ready for release: Get set. When your digestive tract has broken starch down into sugar and dumped it into the bloodstream, the pancreatic cells directly sense this change and dump their pent-up insulin: Go. In a heartbeat, the hormone reaches the liver, just a few centimeters away, where much of it is absorbed immediately. The liver then soaks up sugar, blood-sugar concentration falls, and the pancreas steps down its activity. That level of control is far beyond what lag-plagued pumps can reasonably hope to achieve. The only way to match it is by growing or implanting new insulin-secreting cells in the patient’s body. Efforts in that direction have achieved scattered successes since the development, in the 1970s, of ways of controlling tissue rejection. But progress has been slow. Besides the sensor and the pump are the algorithms, the secret sauce that allows the artificial pancreas to analyze, learn, and control. One of the first algorithmic techniques looked at the rate of change of blood sugar. Another one, sometimes called an expert system, sets up a table that pairs problems with responses in the form “if this happens, do that; if that happens, do this,” says Aaron Kowalski, a medical geneticist who heads artificial-pancreas research for the JDRF. A third kind of algorithm tries to model human physiology, for instance by considering how quickly food passes through your system and how long the insulin takes to work. “The beauty of this approach is that it’s like chess programming: You reset the variable when your opponent makes his move—that is, when new data arrive,” says Kowalski. Tuning these algorithms requires big data, gathered from both the individual patient and the larger community of patients. Hovorka’s group at the University of Cambridge is conducting trials of advanced systems in the home, not just in controlled settings. Hovorka is also working with a corporate partner, but he won’t say which one. (He notes, however, that only two companies are pushing the closed-loop solution now: Medtronic and Animas Corp., in West Chester, Pa.) He says his algorithms learn by doing and so adapt to the patient. “The algorithm analyzes during the day and between days for short-term learning and also longer term,” Hovorka says. “If somebody goes skiing, you can see a drop-off in blood sugar, and the system has to be able to cope. Every 10 to 12 minutes we run the algorithm for predictive control. We have a number of models running in parallel, with each given a probabilistic value based on how well it fitted the data in the past. “We can achieve what no other technology can do now,” he says. “Hypoglycemia [low blood sugar] is down 30 to 50 percent,” Hovorka says. Patients spent 20 percent longer in the targeted zone for blood sugar—not too high and not too low. “It’s good enough to use now—I believe so,” he insists. One of the most fraught questions in the robo-pancreas community has been whether to stick with insulin alone or to add a pump for the hormone glucagon. Insulin lowers blood sugar by helping the body—particularly the liver—store it. In the liver, glucose is converted to glycogen, a kind of animal starch. Glucagon works in the opposite direction by stimulating the liver to turn that starch back into sugar and dump it into the bloodstream. People with diabetes often carry a special pen charged with glucagon for others to use on them in case they faint from low blood sugar. In a dual-hormone pump, insulin serves as the accelerator and glucagon as the brake, in principle allowing for finer control. But at a diabetes technology conference held in Paris this past February, funding organizations appeared to have doubled down on the simpler one-hormone system in the hope that it will get approved more easily. One cause of the change was a recent report by researchers from IRCM. They compared the one- and two-hormone systems and found no significant advantage for the dual-hormone method. Their report seems to have had an effect. What’s next? As the millions of people with type 1 diabetes work out the kinks in the new technology, it will spread to the hundreds of millions with type 2 diabetes, many of whom would also benefit from insulin but shy away from it because of the needles and the bother. Now that the artificial pancreas is finally within reach, we can look back at this as the perfect case study of excessive technological optimism. A machine that senses which way your blood sugar is going and keeps it on the right track—how hard could it be? How long could it take? Hard as hell. And 50 years.